Whether you’re in the middle of the desert or just running errands at the mall, it can be hard to find a source of pure, clean drinking water. The thorny devil lizard solved this problem long ago by evolving tiny channels on its body that collect atmospheric water and direct it towards the animal’s mouth. 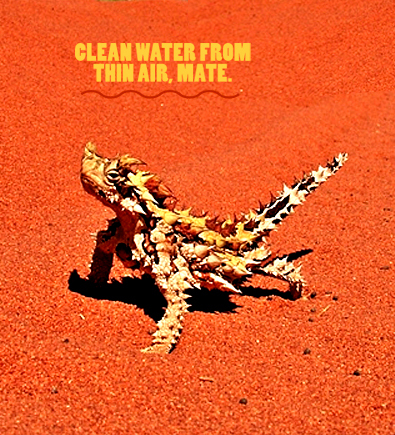 Thorny Devil Skin improves upon nature by adding nanoscale aquaporin filters to these channels, drawing water into the bottle and keeping contaminants on the outside.